Editable Sight Word Game for Spring for Primary Grades! Flowers are blooming and the birds are singing because spring is in the air! 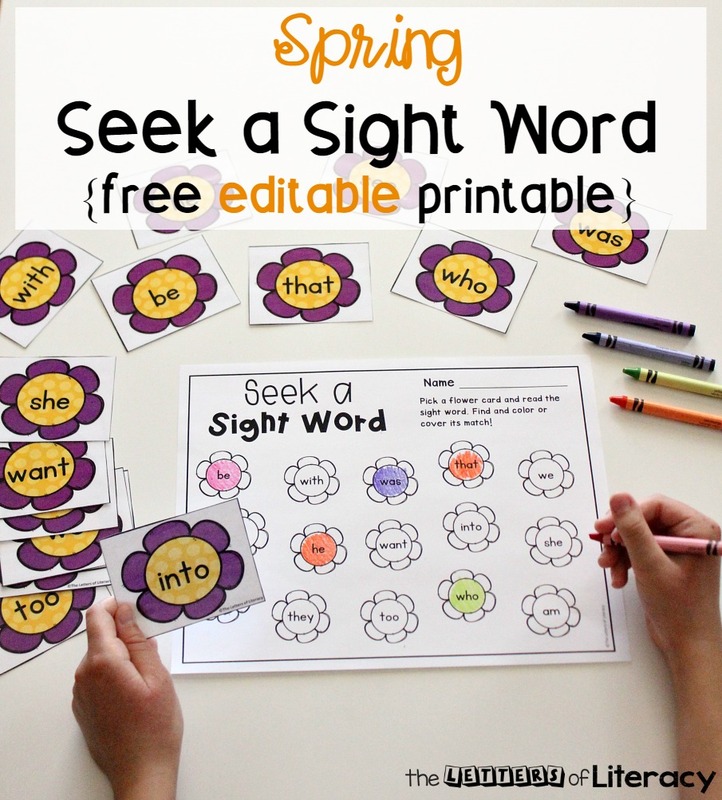 This spring bring some fun to your literacy activities in a whole new way with this Editable Sight Word Game for Spring! You read that right…this FREE activity is EDITABLE! That gives you all of the control. You get to choose any 15 words that you’d like your children to work on. There are a variety of ways to use this literacy activity and I can’t wait to share them with you! This activity is suitable for primary grade students. You can use this in your homeschool or traditional classroom setting. Print different word lists for small groups. You can use this FREE editable sight word game over and over! Our printable is complete with the Spring Seek a Sight Word Recording Sheet and 15 Sight Word Flower Cards with words that have been customized by you! Hop on over to the The Letters of Literacy to see my guest post and grab our FREE Editable Sight Word Game for Spring!